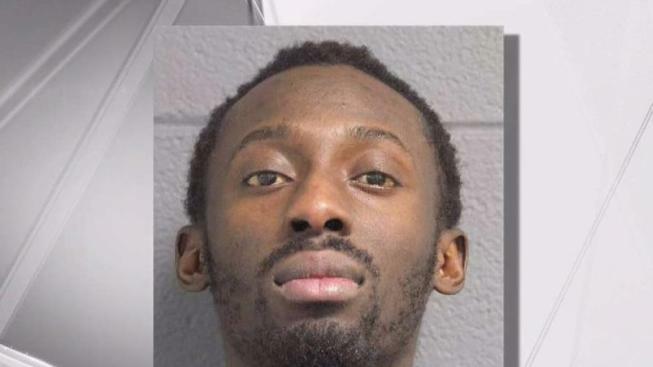 The violent fugitive who bolted from Immigration and Customs Enforcement custody at John F. Kennedy International Airport while getting deported to his native Senegal has been captured in Chicago, federal officials say. The Department of Homeland Security confirms that the manhunt for 31-year-old Mohamadou Lamine Mbacke is over. He was arrested by Chicago-based members of ICE at a Starbucks near Chicago Union Station with assistance from federal partners, according to the Department of Homeland Security. Angie Williams, a manager at the coffee shop said the man ordered a grande blonde roast and sat down near the restroom. A few seconds later, she said six plain-clothed officers walked in, along with a dozen more officers who posted outside. The man did not put up a fight, and was led off in handcuffs. Earlier, ICE described him as dangerous and warned anyone who sees him should not approach him. Mbacke, a 31-year-old with multiple prior violent convictions and nearly a dozen arrests in New York City over a four-year period, was only at JFK for a layover from Detroit en route to Senegal at the time of the brazen escape late Tuesday, sources and ICE officials have told News 4. According to a criminal complaint, three ICE officers were waiting with Mbacke at JFK to board their connecting flight to Senegal when Mbacke asked for permission to sit about eight to 10 rows away from the officers. They granted him the request, and that's when he gave them the slip, according to the complaint.